The Fort Walton Beach attorneys at Vanover Law Firm, P.A. are dedicated to adding value to our clients’ lives. We have two expert attorneys who have specialized in two different fields of legal study. Whether you are in need of estate and long-term care planning services or DUI defense, we are prepared to do whatever it takes to safeguard your future. Keith P. Vanover is our Founder and Elder Law Advocate who carefully helps our clients protect assets from liabilities and Medicaid spend down rules. Keith is equipped to manage your elder law matter and provides an Estate Plan package that includes all required documents for one flat fee, including Wills, Financial Power of Attorney, Living Will, Healthcare Surrogate and Trusts. With nursing home care costs skyrocketing, most Americans need a long-term care plan that won’t wipe out their savings. In Okaloosa County, the average cost for one month’s stay in a local nursing home is over $9,000 a month (as of June 2018). If an individual needs Long Term Care Medicaid benefits they would need to spend down their money to only $2,000. Medicaid rules allow you to keep $2,000. You will only receive help once your estate legacy is gone. By pre-planning, you can structure your assets so that they are protected in the future, should you need long-term care benefits. That way, you are prepared and ready when the time comes. Connect with our Fort Walton Beach Elder Lawyer today by calling (850) 999-0006. Senior Attorney Chris Garrett is our DUI expert. Mr. Garrett can help save your driver’s license, prevent harsh consequences, and fight for a DUI dismissal. You only have 10 days after arrest to save your driver’s license, and you must get in touch with a Fort Walton Beach DUI attorney immediately. Mr. Garrett will help you request and receive your driver’s license immediately. When you bring your DUI/BUI case to us, you will never have to go to court. Florida law allows Mr. Garrett to go to most of your court appointments on your behalf. This can be helpful if you’re a tourist, find yourself working out of state, or work multiple jobs. Mr. Garrett has had dozens of DUI cases dismissed or reduced in his career. Motions to suppress and motions to dismiss are a critical part of your defense, if the facts justify the request for a motion hearing. Mr. Garrett files for a hearing and argues these issues in every case where there is a legal justification. Some attorneys file motions once or twice a year. That is NOT how Mr. Garrett defends his clients. Mr. Garrett is aggressive, courteous, and effective, and he is prepared to provide you with the attentive legal service your case demands. Mr. Garrett also handles all misdemeanor and felony charges for state and federal cases as well. If you have a criminal or DUI charge then contact us today so we can set you for your free consultation over the phone or in person. We charge a flat fee for every case. We also have payment plans available. Send us an email to schedule your free consultation. 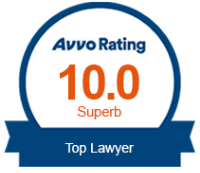 Why Choose Vanover Law Firm?